Thank you to everyone who took part in Earth Hour last weekend. A great evening walk was enjoyed by close to 50 people. 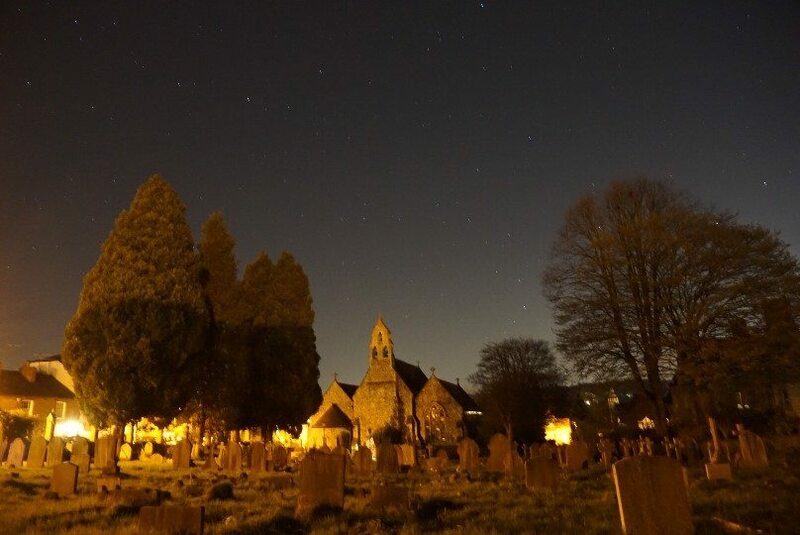 The heavens were beautifully clear and there were many opportunities to study the night sky as well as walk through Holy Trinity Church Yard and Mill Meadows nature trail. All participants completed a Citizen Science Survey and helped St. Mary’s to contribute to University College London’s pilot citizen science project, Into The Night, which is investigating the effects of artificial light on wildlife and humans. Science Teacher, Marika Perkins was pleased to lead this community event and we would also like to say thank you to Revd Duncan Carter for opening up the doors of Trinity Church for us.